Father, husband, friend, and author Brandon Barr is dying. After multiple bone marrow transplants, his leukemia has returned. There are no remaining treatments available to prolong his life. At some point in the near future, the world will lose a good man. Many will lose a good and caring friend. The fantasy world will lose a brilliant author. His devoted wife Amanda will lose her loving husband. And three young boys will lose their hero, their rock, their father. We are all helpless to stop this tragic loss of such a young, vibrant, and caring man. God calls us home when He wills, and no matter our faith or belief system, there is no denying that the void left behind when a good man like Brandon passes on is very real. We can give him some peace of mind by donating to help support his family financially after he's gone. We will be sharing more soon about Brandon's life, his work, his family, and his struggle with leukemia. We'll have photos, videos, and more so you can get to know this truly beautiful man. Brandon will have a message for you all soon as well. He's currently in the hospital, but he thanks all of you for your kindness and support. For now, please donate. Give anything you can. Every dollar you can part with is a little drop of peace you can give Brandon right now as he faces this greatest of challenges. Any money you donate will be deposited directly into his family's account, to be used for the financial support of his wife and children. Please share this GoFundMe. If you know Brandon, please share stories of your friendship with him. And if you pray, please pray for him and his family as they endure this indescribably difficult time. "Our dear friend, Brandon, is now is the arms of Jesus. He peacefully entered into heaven this afternoon. As he took his final breaths, he was surrounded by friends and family worshiping God. He’d sing “Bless the Lord, Oh my Soul” to his boys every night before bed and we were singing that as he drifted off. He passed at 1:30pm on Wednesday, November 21. Please pray for Amanda and the boys during this time. Please pray for the family and those effected by this loss. Thank you for your love and support. Thank you for your prayers." Godspeed, my friend. The world is an emptier place without you. 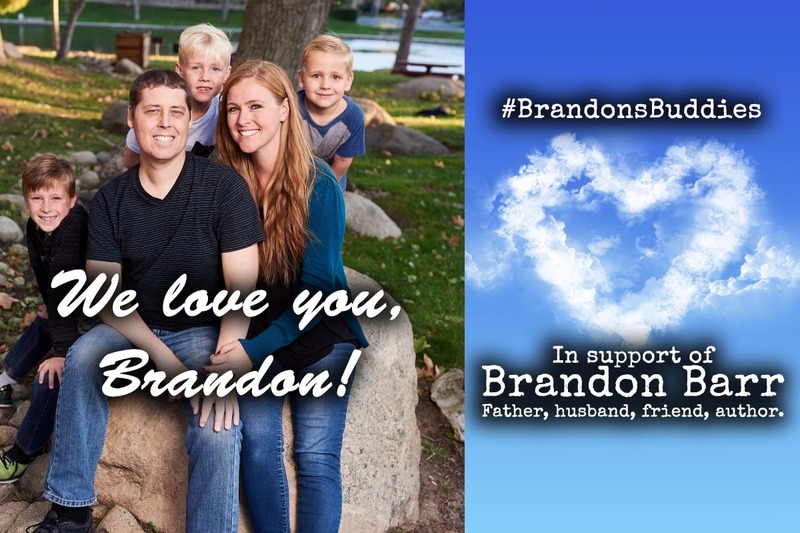 Fantastic news for Brandon and family! 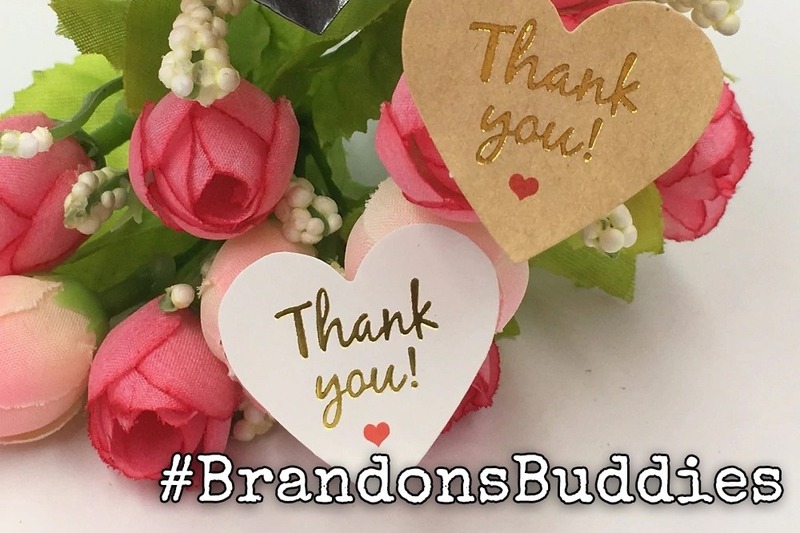 I am thrilled to announce that the #BrandonsBuddies GoFundMe campaign has just crossed over $50,000, thanks to YOU guys and gals! What a blessing for the Barrs, and what a sorely needed testament to the goodness of humanity in a time where we can tend to be so divided. Please know that your donations, shares, and prayers are having a real impact for this family as they endure a truly difficult ordeal. 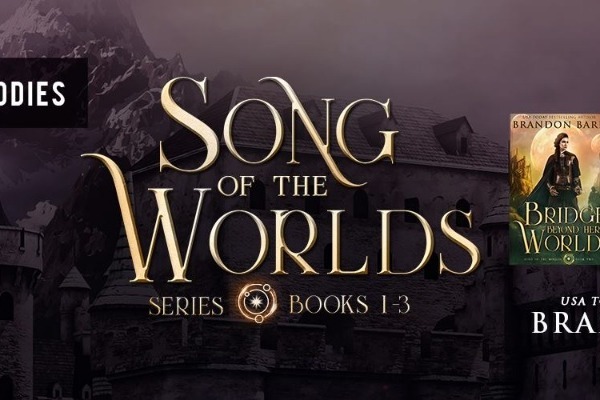 I am also pleased to announce that Brandon's book, Rise of the Seer, has been tearing up the charts on Amazon. Over 300 authors from the indie author community have banded together to spread the word about Brandon's life and work, resulting in Rise of the Seer hitting #1 in a dozen categories on Amazon, and as high as #79 in the ENTIRE Amazon Kindle store. More than simply being entertaining, Brandon's books are a true window into the soul and mind of a beautiful man, husband, and father who is facing his own pain, doubt, and mortality with courage, grace, and poise. If you’re a fantasy reader, or if these questions are important in your own journey through life, you absolutely must read these books. If you have not yet gotten a copy of Brandon's book, please visit http://epicfantasyfanatics.com/brandons-buddies/ to learn about the story he's written. And please remember to share this GoFundMe early and often! We've come a long way, but we've still got a long way to go for the Barrs. I am also happy to report that Brandon had a blood transfusion that has improved his strength considerably. He has been enjoying his time with his family, friends, and fans, and has been in remarkably good spirits in the face of his challenges. We can all only hope to one day face our own last days with such courage and strength! Hi everyone. I am so happy to announce that we've hit our first GoFundMe goal of $25,000 in just over 24 hours. What a blessing for the Barr family! You're all amazing people. Please know the impact you're having for the security of this wonderful family, and the peace of mind you're bringing Brandon. We've got a long way to go. I just googled this last night... the average cost of raising a child to adulthood in California is a whopping $233,000. If you have kids, you know that's no exaggeration. The Barrs have three boys, so this battle is far from won. Keep the prayers coming. Keep the shares coming. And if you're able, when you're able, please continue to support this campaign. God bless all of you. *I don't have a new update on Brandon's situation, except that I know last night was pretty rough. I'm hoping we will hear good news from Amanda soon that Brandon is comfortable. If you pray, please join me in praying for all God's comfort right now, and the same for his family as well. I will update with more information as I have it.